Ripple has been getting a lot of attention lately, which in turn has got a lot of people asking “How do I buy Ripple?” or wondering “Where to buy Ripple?“. Exchanges such as Kraken, Bitstamp, and most others are being inundated with new account requests. Which in turn its taking many weeks just to get your account verified. In this guide I’ll show you how to buy Ripple (XRP) very easily and quickly, usually in less than 30 minutes! First log into your Coinbase account and buy Ethereum (ETH). Yes you could buy Bitcoin (BTC) but the fees are higher, thus I recommend buying ETH. 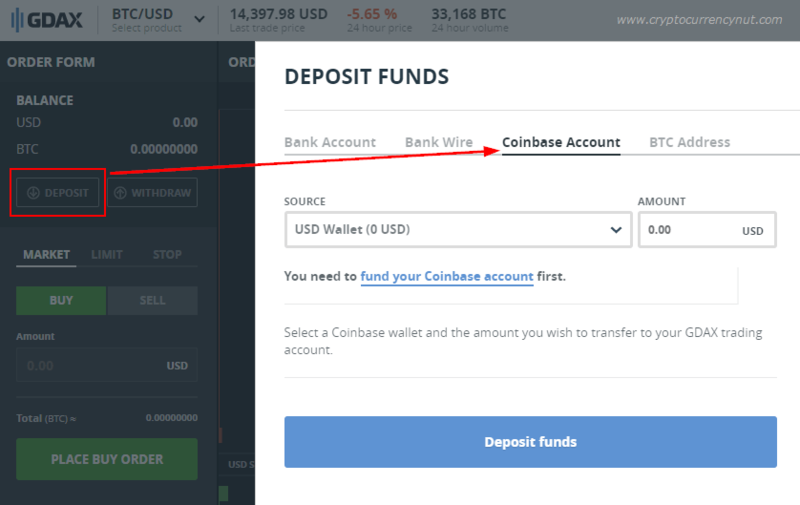 Now transfer your Ethereum to your GDAX account by going to: Deposit > Coinbase Account. Since GDAX is owned by Coinbase, the transfers between the two are FREE. Next transfer your Ethereum from GDAX to Binance in order to exchange your Ethereum into Ripple (XRP), by going to: Funds > Deposits Withdrawls. Copy the Ethereum deposit address from Binance. Now head back to GDAX and go to: Withdraw > ETH Address. 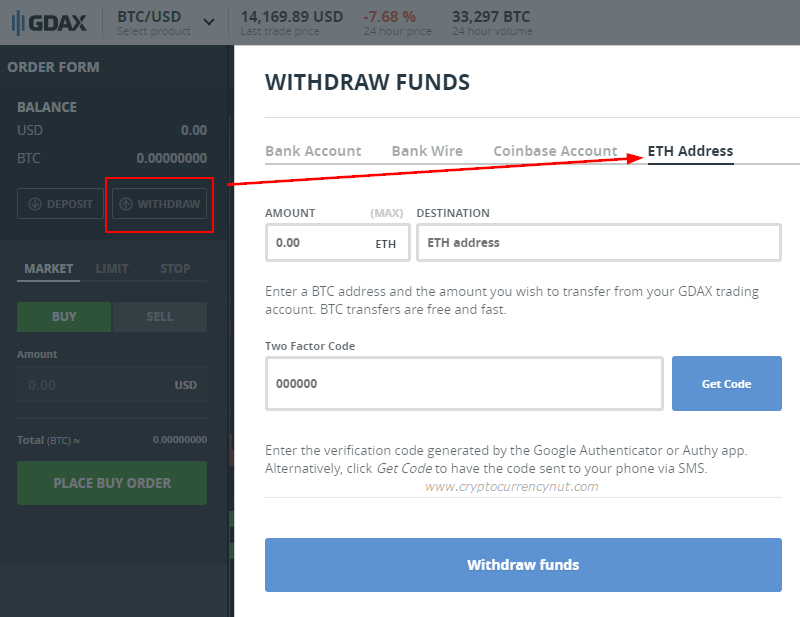 Then enter your amount and the copied deposit address from Binance into the Destination field and click on Withdraw Funds. After a few minutes your funds from GDAX should be deposited into your Binance account. Now click on Exchange > Basic. 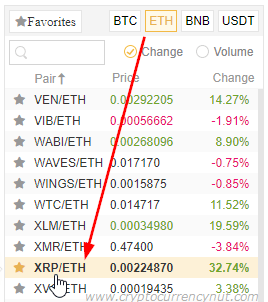 Next, go to the right side of the page and change to the Binance ETH/XRP page by clicking on ETH then scrolling down and clicking on XRP. Finally select the “Market” tab in the middle of the page. Click on 100% on the Buy XRP side and click on Buy XRP. Congratulations, you now own Ripple (XRP)! I don’t encourage anyone to leave their cryptocurrency in any exchange. Instead use a software wallet or a hardware wallet (most secure) such as the Ledger Wallet, which DOES support Ripple. Simply withdraw your Ripple (XRP) from your Binance account into your software or hardware wallet.